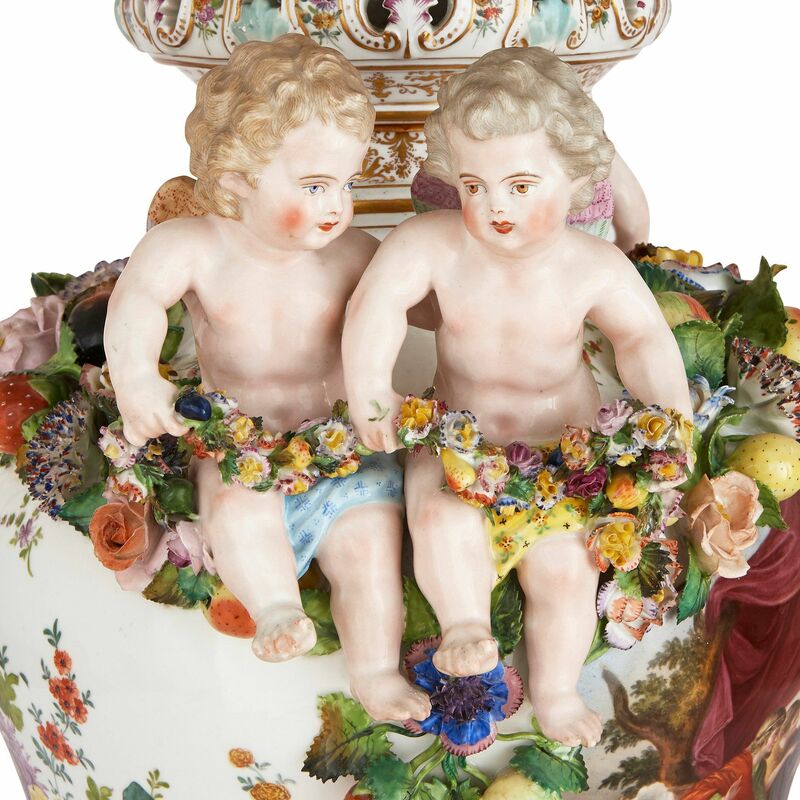 These exceptionally fine Dresden porcelain vases in the German Rococo style are notable for their delicate detailing and exuberant colour palette. 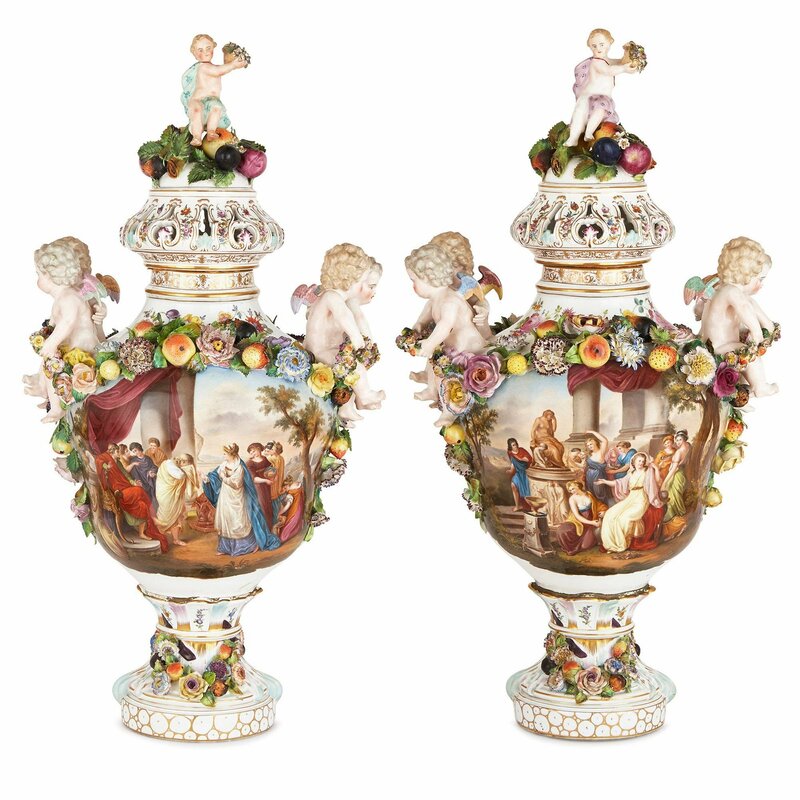 The city of Dresden is well-known for the high quality of craftsmanship of the porcelain works created there, and this stunning pair of vases are no exception. 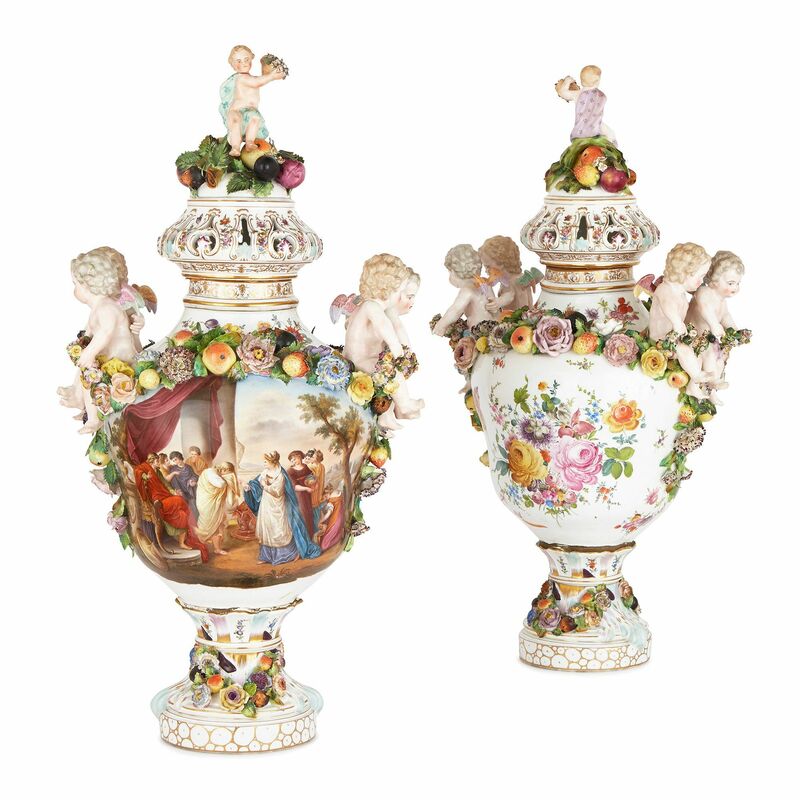 The vases are crafted entirely of white porcelain in amphora form. 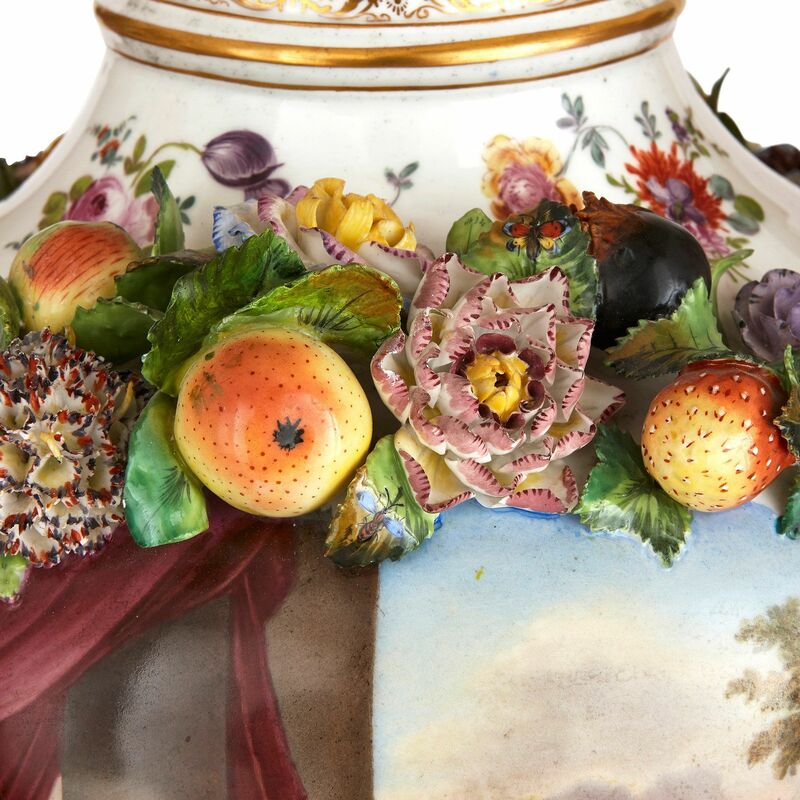 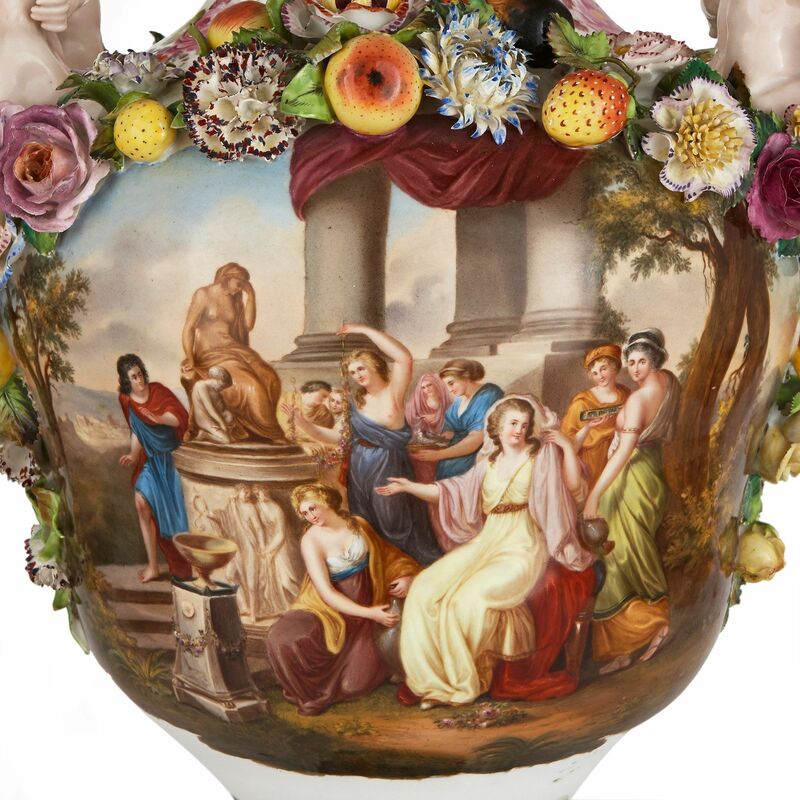 The bodies of the vases are delicately painted with Classical figural scenes to the front and scrolling flowers to the reverse, all surrounded by upper borders of porcelain flowers, fruit and vines in relief. 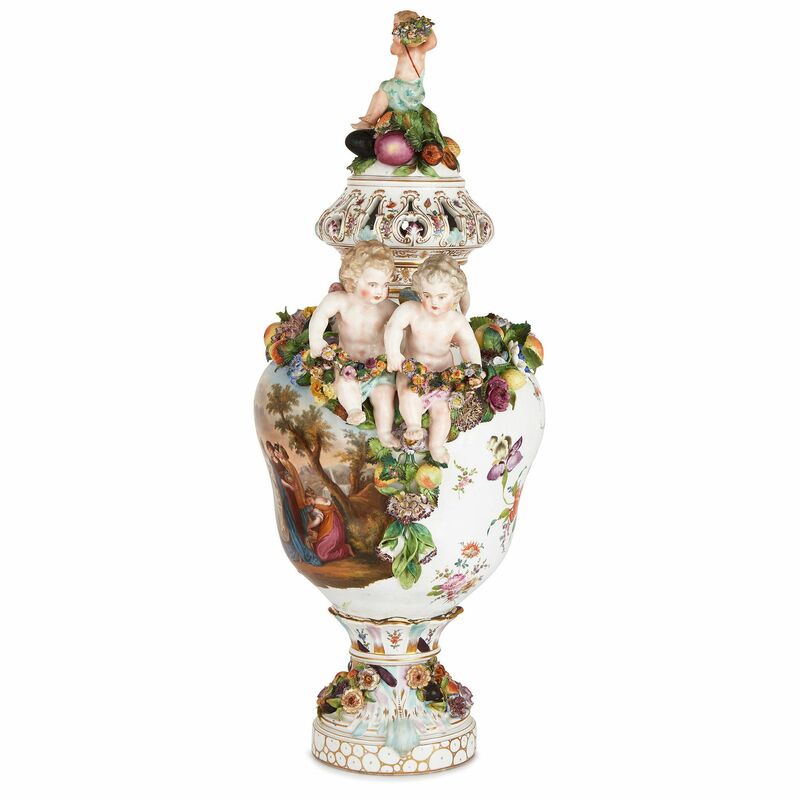 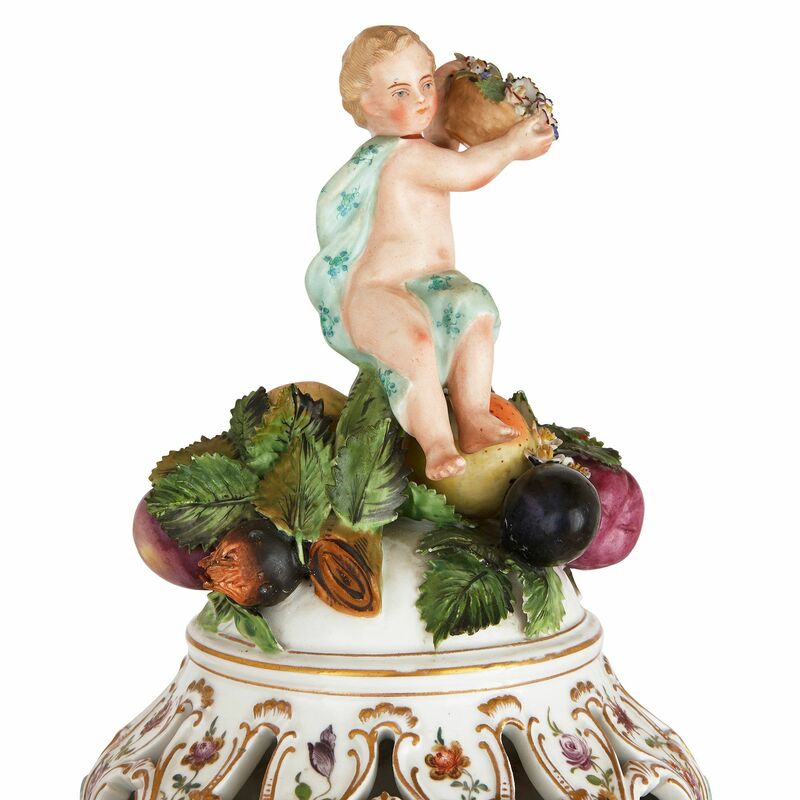 Both sides of each vase are mounted with a pair of charming porcelain cherubs who hold floral garlands. 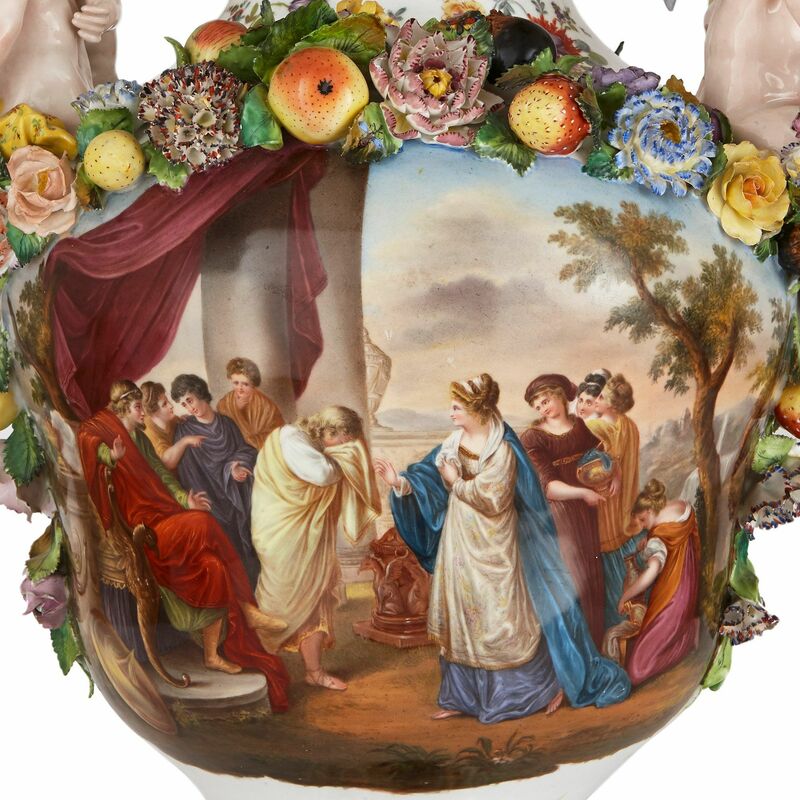 The waisted bases of the vases are decorated all around with fruits and flowers in relief, which lead to the robust bodies. The waisted necks of the vases bear delicate gilt highlights, leading to pierced covers surmounted by fruit, flowers and putti holding baskets. 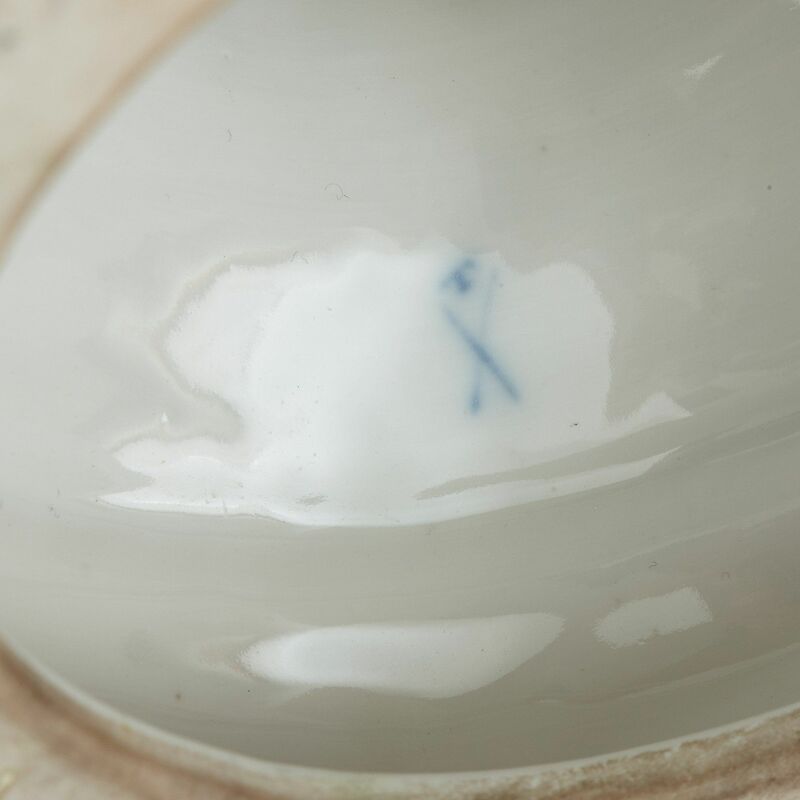 The vases are the work of the Carl Thieme Porcelain Manufactory, Dresden, and are marked to the underside with underglaze blue crossed lines and a 'T'.